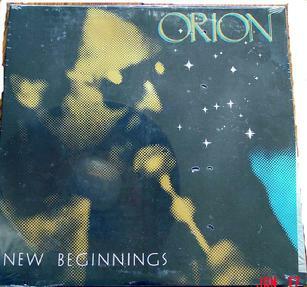 This is the original LP "Orion Reborn" now on CD for the first time from Sun Records. It has the beautiful yellow Sun label and artwork. This one is a real collecror's item!! All 10 tracks from the original LP are included: Honey, Lover Please, Got You On My Mind, Mona Lisa, Before The Next Teardrop Falls, Ebony Eyes, Washing Machine, Baby I Still Love You, You Can Have Her, and Lonesome Angel. This is the beautiful Bear Family Records boxed set of 4 CDs. 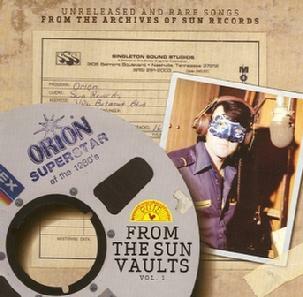 This set documents Orion's career on the lengendary Sun Records label. It begins with the 1972 single on which Orion, then Jimmy Ellis, recorded That's All Right Mama and Blue Moon of Kentucky at Playground Studios in Valparaiso, FL, and produced by Finley Duncan. 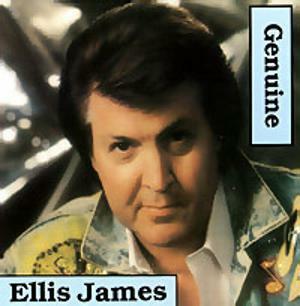 It was issued on Sun without an artist name, and created a furor because Ellis bore such an uncanny vocal resemblance to Elvis. 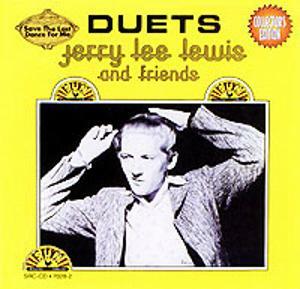 Jerry Lee Lewis and Friends, WOW, the genius of lengendary producer Shelby Singelton. 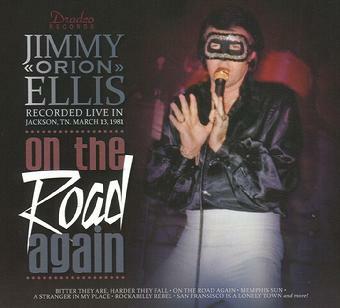 This CD has the voice of Orion - Jimmy Ellis overdubbed on parts of Jerry Lee Lewis's tracks to create the illusion that it was Elvis -- and many believed it was, in fact, Elvis Presley himself from the old Sun Records days in Memphis. Please be advised this is a CDR with the original label and artwork. 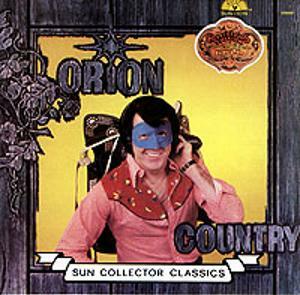 The Country CD by Orion was produced in 1980 and contained the chart single Texas Tea. This was one of many CDs and LPs that would be produced by Sun Records in Nashville, TN. Another masterpiece from Sun Records in 1980. 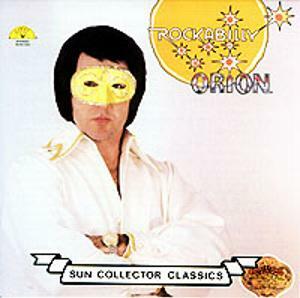 This took Orion back to Elvis's roots in rockabilly and rock 'n' roll with songs by Jerry Lee Lewis, Carl Perkins, and Charlie Rich. PLEASE NOTE THAT THIS IS A CD-R (with original artwork). THE ORIGINAL CD IS OUT OF PRINT. 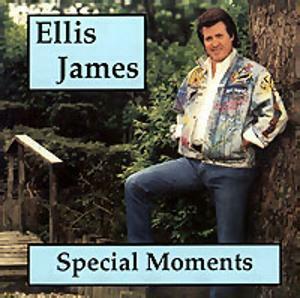 Switch now to Ellis James "The Cadillac Man", nominated for Most Promising Male Vocalist in 1991 by the major Independent Record Label Awards committee...this CD obviously shows why. 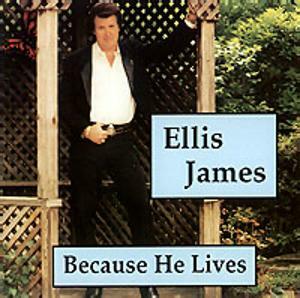 Ellis's magical voice recreates the King's golden voice on popular songs never recorded by EP. 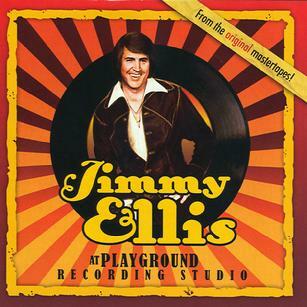 Recorded at Stargem Studios in Nashville, and produced by Wayne Hodge with engineering by Denny Knight - this is one of Jimmy Ellis's best CDs. Tracks: Feel Right, Since I Met You Baby, Slow Hand, Nothing Short of Dying, Love Is In The Air, That's The Thing About Love, At This Moment, It Only Hurts When I Cry, Tips of My Fingers, and Treat Me Nice. Remixed at Shalonda Productions in Dayton, OH by Johnnie Wilder, Jr. and engineer William L. Jones. This one was also recorded at Stargem in Nashville. The voice is again just remarkable. "Dream On Me" written by none other than Mark James (Kentucky Rain) should have been a hit single. Another gem recorded at Stargem Studios in Nashville and remixed at Refraze Recording Syudio in Dayton, OH by producers Jim Highley, Jim Hardin, Dennis Ross, and Gary Yount. It's amazing to hear Jimmy Ellis sing these songs like "Looking For A Way" (another one that should have been a hit single), and then sing "I Want You I Need You I Love You", and sound the same on all of them -- it was HIS voice, not an impersonation, not a copy-cat, Ellis was the real thing. These tracks were recorded by Kardina Records in Ohio but were not released until after Jimmy Ellis's death. This is a Special Collector's CD for that reason and the fact that these were the last recordings he did in their studio. This was strickly a "for the fans" production. Jimmy did shows where he never sang an Elvis song but always got a request for one. 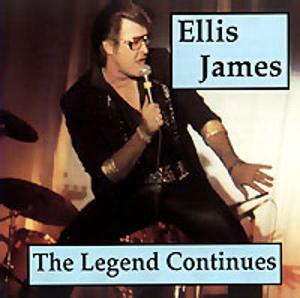 One of his early LPs in the 1970s was "Ellis Sings Elvis" which was Jimmy's answer to all the impersonators at the time who could wear a jumsuit but really couldn't sing well. On this CD you will cringe on "If I Can Dream" - actually as good or better than Elvis's version, and "Are You Lonesome Tonight" -- the voice is just superb. But again, this was not intended as a copy-cat - it was real talent....undiscovered by many people. One of two gospel productions in Jimmy's career...the other being an LP on Sun Records - "Glory". This CD was recorded at Stargem Studio in Nashville, produced by Wayne Hodge and engineered by Denny Knight. The CD was dedicated to the parents - Morgan and Nora Hardin, Robert and Naomi Ross, Dale and Helen Yount, and Robert and Faye Ellis. Mrs. Ellis loved to hear Jimmy sing gospel songs. The tracks "You'll Never Walk Alone" and "Stand By Me" are just without words to describe the feeling....Jimmy was often asked and did sing in fan's and family's church services. The Orriville, AL pastor at Jimmy's funeral said that Jimmy was one of those few singers who could reach down and touch the human soul when he sang. 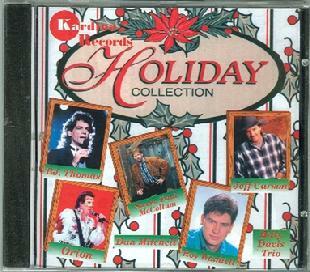 Recorded by Kardina Records and produced by Dan Mitchell in 1997, this was one of two Christmas CDs by Kardina. 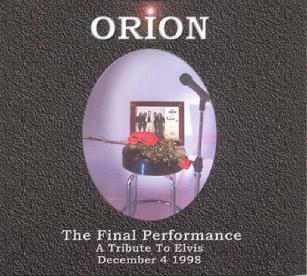 Orion was a paradox - he was not an imitator of Elvis Presley, he just simply had that golden voice that God gave him...the one that did not disappoint the fans of Elvis -- me being a huge EP fan, as well. Orion was a legend in his own right. He holds you speechless and spellbound on this CD of Christmas songs "E" never recorded. It's the King again! Not really, but it's easy to forget when you listen to this CD that Elvis is not with us to make that great music anymore. 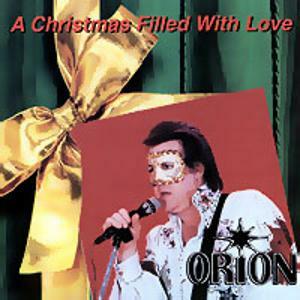 This one left by Orion brings those cold chills of a wintery Christmas and chills that this guy may have been Elvis's brother...but it just never came out. "I'll Be Home For Christmas" -- turn it up!!! A gift for the fans. 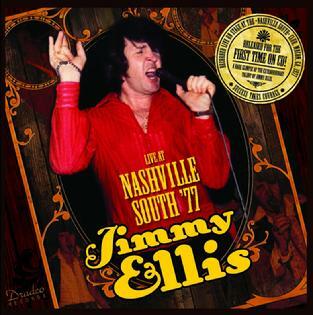 Home recordings of Jimmy Ellis in 1969-70 and in Nashville in the late 1980's plus his first record "Love Is But A Love". Also includes "Out of My Life" performed live on the TV show Nashville Now, "Unchained Melody" - studio, and "You Don't Know Me" recorded at the California sessions in the 1970's. A great CD!! NEW ITEM - this is a great interview CD put together by our friend Kenneth Dokkeberg in Norway. This was aired on a special Norway radio show in 2005. Interviewees include: Bobby Dillard, Chet Bennett, Nick Scott, Gail Brewer Georgio, Steve Kelley (Orion Road Manager), D J Fontana (Elvis's drummer), Boomer Castleman, and Ray Walker of the Jordanaires. This item will be offered at this special price while quantities last. 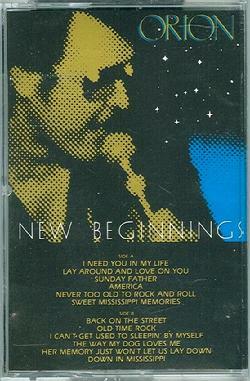 This is the original uopened cassette "New Beginnings" from Aron Records. Supply of this historic session is very limited. When they are gone that's it. See track listing below. This is the one!! The first ever CD release on the historic Boblo label!! 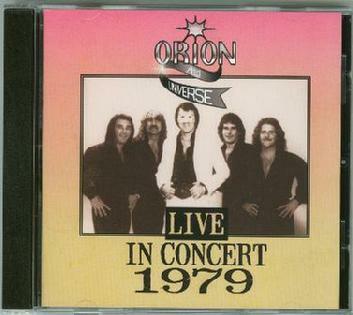 From 1979, this was Orion's debut concert in Athens, Alabama prior to his move to Nashville to full-fill the Orion legend on Sun Records with Shelby Singleton. Orion is backed by the powerful band Universe put together by Nick Scott who also produced some of Orion's recordings. This CD is a prime example of the dedication and hard work Boblo President, Bobby Smith put into his artists. Although he turned down a 17-year old Jimmy Ellis in 1963 and again in 1977, Bobby produced some of Orion's best material at Sun Studios, as well as the Ellis Sings Elvis LP in Brunswick, GA that is a huge collector's item today. Although there is a minor 1/2 second blip after the music break on the "I Forgot to Remember to Forget" track, the CD is just outstanding....the liner notes give a concise history of Bobby Smith's Orion experience. After all, Bobby and Nick Scott were there throughout all the Orion days and nights with Sun. This CD is part of history that all Orion fans will enjoy for many years!! Thanks, Bobby Smith! Universe (1) Breezin, (2) Tulsa Time. 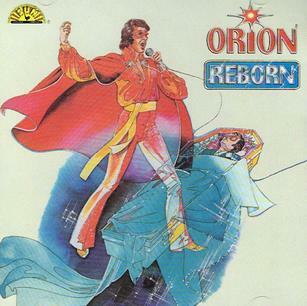 Orion - Can't Judge A Book, Baby You Got It, You Don't Have to Say You Love Me, Save The Last Dance, Snow Bird, Secret Love, Sweet Caroline, Mona Lisa, I Believe, Maybelline, I Forgot to Rember to Forget, Games You've Been Playing, My Way, and A Closer Walk With Thee. Jimmy Ellis in superb voice for this soundboard recording....just a great CD with excellent booklet!! Recorded LIVE in Jackson, TN, March 13, 1981, while on tour with SUN Records. An AWESOME CD in a digipak from Dradco Records and Elvis Unlimited. This is the last release for 2010. This is a double CD set of two live shows recorded by the audience in 1977 and re-mastered in Germany. It is another beautiful package put together by our man at large over in Norway - Col. Kenneth Dokkeberg. Jimmy is singing in his prime here prior to going to New York. There is a multi-page booklet describing what was going on in Jimmy Ellis' career at the time. 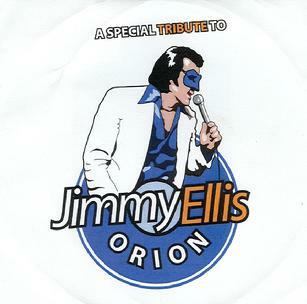 Thanks, Kenneth for this great addition to the historic musical collection of Orion - Jimmy Ellis!! Note: This CD will be repackaged with new pictures and for future release. 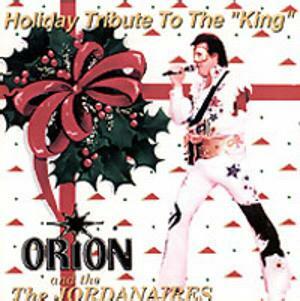 This performance was recorded live through the soundboard on December 4, 1998 at Nashville Nightlife Theatre just eight days prior to the untimely death of one of the greatest entertainers of our time, Orion. It is a real testament to the true talent of Orion - just loads of charisma on stage - you feel like you are right there in the audience. Thanks to Jerry Adams of Flatland Records, Nick "Scott" Petta for producing the great tracks, and our dear friend Art Thomas (deceased), Jimmy's last manager, for this beautiful digipak CD. Thanks also to Shelby Singelton for the great pictures he provided from the Sun Record days!! And lastly, thanks to the very talented Sherry Carlisle for her opening song - "Black Velvet"! This is a surperb CD that you just can't stop listening to!! Tracks: Black Velvet (Opening Act Sherry Carlisle), Promised Land, What A Wonderful Life, Make The World Go Away, Teddy Bear/Don't Be Cruel, It's Now Or Never, Little Sister, You Gave Me A Mountain, Are You Lonesome Tonight, Follow That Dream, Mojo/That's All Right/CC Rider Medley, I Really Don't Want To Know, One Night, All Shook Up, My Way, Blue Hawaii, American Trilogy, Can't Help Falling In Love, and If I Can Dream. Cover Concept & Design: Nick "Scott" Petta and Tim Metz. Credits to the many talented people who helped to complete this project are acknowledged in the CD liner notes. "Jimmy Ellis At Playground Recording Studio" -- FINALLY the long awaited CD from our friend Kenneth Dokkeberg in Norway at Southern Americana Music. This is just a beautiful product and factory pressed CD from the original master tapes! There is a 22 page CD booklet with a lot of pictures and history about Jimmy's career. Even includes track notes and technical background information. Songs include: Georgia Pines, Anna Jones, The Most Natural Thing, Days of Autum Gold, Changing, My Baby's Out of Site, I Use Her to Remind Me of You, Leigh, Remember You, Circle on Your Finger, Tender Side of Me, I Can Love You Better, Every Time You Touch Me, Words, and Kiss The Hurt Away. There are also outakes of 7 of the songs. 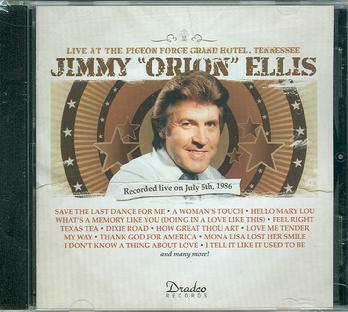 A must have for Jimmy Ellis/Orion fans!! This is the New Beginnings LP Album - factory sealed - brand new!! !